Cloud gaming demo service Gaikai has some new free demos up and running. They are Mass Effect 3, Rayman Origins, Tom Clancy's Rainbow Six: Vegas 2 and Crazy Machines 2. The highest profile demo added is of course the space opera RPG blockbuster Mass Effect 3. The recently released PC version of Rayman Origins, the reboot of the Rayman series, is also getting rave reviews from the gaming press and gamers alike. Gaikai is also working on bringing the demo of Battlefield 3 to its cloud gaming demo network, as you can see here. I'm sure OnLive would love to get games like Mass Effect 3 or Battlefield 3 to its cloud gaming service and OnLive gamers would love this even more so. One interesting fact is that Mass Effect 2, which you can also demo on Gaikai, was a launch game for OnLive at E3 2010. But just before OnLive officially went live, EA announced a deal with Gaikai and pulled Mass Effect 2 and Dragon Age: Origins from OnLive. Since then EA hasn't released a game on OnLive, though they are still a partner of OnLive. In the meantime, OnLive announced as a part of the UK launch that Bulletstorm and other EA games are coming to OnLive, but we are still waiting for these EA games to arrive. So, it's everybody's guess what's up with the relationship of OnLive and EA. Mass Effect 3 is an action role-playing game published by EA and developed by BioWare. 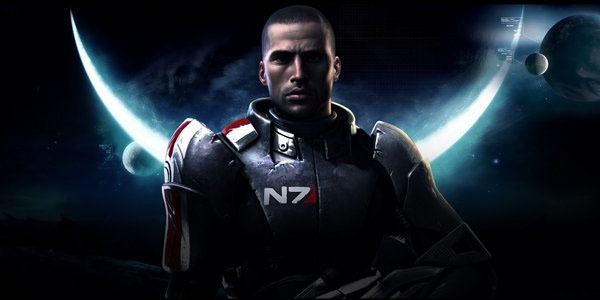 BioWare completed the Mass Effect Trilogy with Mass Effect 3. Earth is burning. Striking from beyond known space, a race of terrifying machines have begun their destruction of the human race. As Commander Shepard, an Alliance Marine, the only hope for saving mankind is to rally the civilizations of the galaxy and launch one final mission to take back the Earth. You can play the free demo of Mass Effect 3 powered by Gaikai. Rayman Origins is a platform game published and developed by Ubisoft. Lead designer of the game was the famous game designer Michel Ancel, the creator of the Rayman franchise. He is also known for the cult favourite Beyond Good & Evil and for Peter Jackson's King Kong: The Official Game of the Movie, the video game adaptation of King Kong, that was directed by the famous Peter Jackson. Rayman Origins is a comic adventure set in a lush 2D world brimming with unexpected secrets and outlandish enemies. The Glade of Dreams is overrun by the "nefurrious" Darktoons. The Fairy Council seeks Rayman's help to save the day. 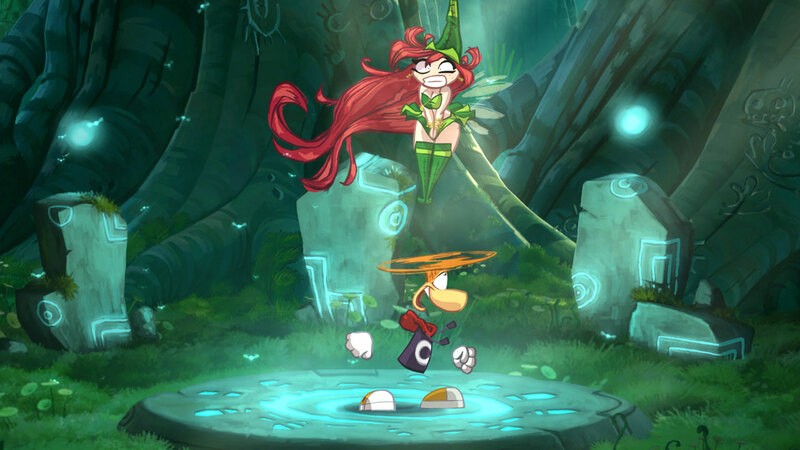 Rayman receives the aid of his best friend Globox as well as two crafty wizards, the Teensies. Together the world's most hilarious team of heroes sets out to restore peace to the Glade before their beloved home is destroyed. You can play the free demo of Rayman Origins powered by Gaikai. Tom Clancy's Rainbow Six: Vegas 2 is a first-person shooter game published by Ubisoft and developed by Ubisoft Montreal. It's the sequel to Tom Clancy's Rainbow Six: Vegas. Tom Clancy's Rainbow Six: Vegas 2 is your last chance to rescue America's sexiest city from an escalating terrorist siege that will force you into heart-pounding action from beginning to end. Sin City is back and bigger than before. Explore all new Vegas hot spots as the environment changes from dusk to bright daylight to dawn, creating a visual experience that is as challenging as it is breathtaking. AI is more challenging than ever. Now, the terrorists are equipped with thermal vision, night vision, and shields – not to mention a multitude of varying reactions – all of which are guaranteed to give you a new playing experience every time you go into battle. As you progress within the game, you'll only be able to outsmart your enemies by taking advantage of intel opportunities, such as thermal scanning, and tactical strategies, such as leapfrogging. Take down the terrorists more effectively using 11 new weapons. New camouflage, clothing and gear allow you to take customization to the next level. You can play the free demo of Tom Clancy's Rainbow Six: Vegas 2 powered by Gaikai. Crazy Machines 2 is a puzzle game published by Viva Media and developed by FAKT Software. Create your own daring experiments with Crazy Machines 2! The game is packed with all new features to help you create your wackiest Rube Goldberg-style contraptions ever! How will a toaster handle two whoopie cushions? How to watch TV with a steam engine? Build up insane chain reactions and pray that everything works or explodes with a big bang. Extreme detailed and living 3D graphics with new effects like heat haze, motion blur and much more. Completely new game elements, e.g. lasers, lightning generators, wrecking balls, pulleys, springs and gears. Revised common game elements with a lot more possibilities. A new game physics model with destroyable and deformable objects powered by NVIDIA PhysX. You can play the free demo of Crazy Machines 2 powered by Gaikai. You can try out these new game demos and the demos of other games at Gaikai's games page.